The Faculty of Health Sciences (then Nazarene College of Nursing) traces its heritage to the Raleigh Fitkin Memorial Hospital founded by Dr David Hynd, the first superintendent in 1927. Training of nurses in Swaziland began at the Raleigh Fitkin Memorial Hospital in 1928. It was in 1956 that a college building was constructed with funds from partners and friends of the Hynd’s family and the Church. When training started there were only three students and at that time standard IV was the recognized requirement for admission. Initially, two major programmes were offered: General Nursing and Midwifery Programmes. Later other programmes followed, namely, Community Nursing Assistant, Nurse Anesthetist, Laboratory Technician, Radiography and Pharmacy Dispenser courses. In 1989, the college affiliated with University of Swaziland for validation of the programmes. It was in the 1990 that the University of Swaziland awarded the first diplomas to the graduates of the college. 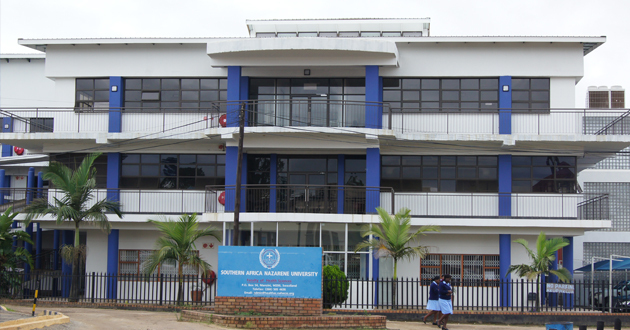 In its strides for academic excellence, the college has reviewed and upgraded its programmes to a degree level in nursing and midwifery in preparation for the establishment of the Southern Africa Nazarene University which was launched in October 22nd, 2010. This move places the faculty at a competitive level with world recognized educational institution of higher learning. The faculty maintains close collaboration with the University of Swaziland, Brock University, University of Columbia, Taipei Medical University Southern Nazarene University in Oklahoma and Cape Peninsula University of Technology in Cape Town, South Africa. The enrollment has grown from the initial three registered nurses in 1928 to the current three hundred and thirty three students from various cultural backgrounds and nations. The Faculty has an establishment of twenty full-time members of faculty, nine part-time lecturers and 15 support staff adding value to the quality of education. The faculty collaborates with various health agencies and ensures that students are placed in a variety of health settings for clinical practice, especially the urban, semi-urban and rural areas. Since its inception, approximately 5,522 nurses/midwives, 7 laboratory technicians, 10 radiographers, 3 pharmacy dispensers, 8 nurse anesthetists and 26 community nursing assistants have graduated from this institution. Today, the Faculty celebrates eighty six (86) years of human resources development for the health sector in the Kingdom of ESwatini, the region and the globe.